The Human Relations Commission will meet on Monday, April 8, 2019 at 7 p.m. at Butner Town Hall, 415 Central Avenue, Butner. All interested persons please take notice that the Granville County Board of Commissioners will hold a Special Meeting on Thursday, January 31, 2019 at 10:30 a.m. at the Granville Expo and Convention Center located at 4185 Highway 15 South, Oxford. The purpose of the special meeting is to review Broadband RFPs (Requests for Proposals). A quorum of the Granville County Board of Commissioners may be present on Thursday, November 29, 2018 for a presentation on regional broadband hosted by Kerr-Tar Council of Government. The presentation will begin at 5:00 p.m. at the Kerr-Tar Regional Council of Government’s Administrative Offices, 1724 Graham Avenue, Henderson. For more information, please contact the County Manager’s Office at 919-693-5240. 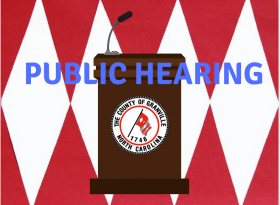 The Granville County Board of Commissioners will hold a public hearing at 7 p.m., or as soon thereafter as the matter may be heard, on Monday, November 19, 2018 in the Granville County Board of Commissioners Meeting Room located at Granville County Expo & Convention Center, 4185 US Hwy 15 South, Oxford, North Carolina 27565. The purpose of the public hearing is to receive comments on the acquisition by Granville County of all right, title and interest in and to that certain tract of land containing approximately 11.28 acres identified as Tax Map No. 191211567918 and that certain tract of land containing approximately 11.13 acres identified as Tax Map No. 191211577430, said tracts being more particularly described in deed recorded at Book 1168, Page 869, Granville County Registry (collectively the “Property”). The Commissioners invite all interested persons to attend and present their views. The County, pursuant to N.C. Gen. Stat. §158-7.1 and subject to public comment at the public hearing for which notice is hereby given, plans to acquire the Property for industrial and/or commercial use. The purchase price of the Property is $61,705.93 plus ordinary and customary closing expenses. 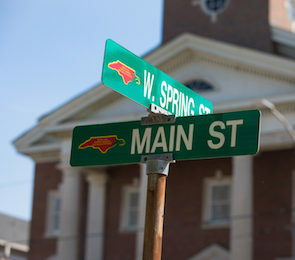 The source of funding for the acquisition will be an appropriation from Granville County’s fund balance. A quorum of the Granville County Board of Commissioners may be present on November 15, 2018 for a bus tour of Granville County Commissioner District 5. The bus tour will begin at 9:00 a.m. or shortly after and leave from the Granville County Administration parking lot located at 141 Williamsboro Street, Oxford, NC. For more information, please contact the County Manager’s Office at 919-693-5240. This is to inform the public that a public hearing will be held on the proposed 5310 Community Transportation Program Application to be submitted to the North Carolina Department of Transportation no later than November 2, 2018. The public hearing will be held on Monday, October 15th at or around 7 pm before the Granville County Board of Commissioners at the Granville County Expo and Convention Center, located at 4185 Hwy. 15 South, Oxford, NC 27565. Those interested in attending the public hearing and needing either auxiliary aids and services under the Americans with Disabilities Act (ADA) or a language translator should contact Kathy May on or before October 11, 2018 at telephone number 919/693-1930 or via email at Kathy.may@granvillecounty.org. 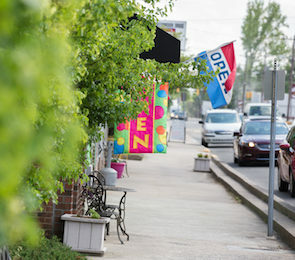 The Community Transportation Program provides assistance to coordinate existing transportation programs operating in Granville County as well as provides transportation options and services for the communities within this service area. These services are currently provided using KARTS. 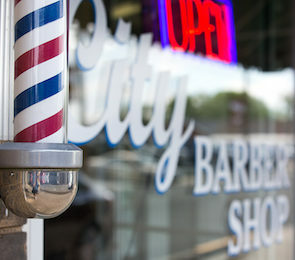 Services are rendered by Granville County Senior Services. This application may be inspected at the Granville County Senior Center from 8:30 a.m. until 5:00 p.m. weekdays. Written comments should be directed to Kathy May before October 31, 2018. 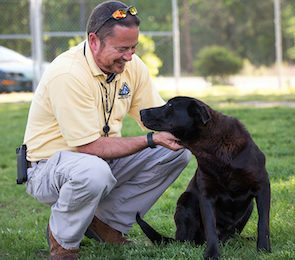 The Granville County Animal Control Advisory Committee meeting scheduled for Oct. 11 has been rescheduled for Nov. 8th at 7 p.m. at the Granville County Expo and Convention Center. The Granville County Library Board of Trustees meeting scheduled for Oct. 11 has been cancelled. The Granville Greenways Advisory Council meeting scheduled for Oct. 11 has been cancelled. The Granville County Board of Commissioners at their meeting on Monday, October 15, 2018 will hold a public hearing at 7:00 PM or later in the Commissioners’ Meeting Room in the Auditorium at the Granville Expo and Convention Center at 4185 US Highway 15 South, Oxford, N.C. 27565. AMENDMENT TO THE GRANVILLE COUNTY LAND DEVELOPMENT CODE (LDC) THAT WOULD CHANGE THE DATE FOR THE FLOOD INSURANCE STUDY AND ITS ACCOMPANYING FLOOD INSURANCE RATE MAPS FOR GRANVILLE COUNTY FROM 4-16-13 TO 10-19-18. THE AMENDMENT WOULD ALSO MAKE FUTURE REVISIONS TO THE FLOOD INSURANCE STUDY AND ACCOMPANYING FLOOD INSURANCE MAPS FOR GRANVILLE COUNTY THAT DO NOT CHANGE FLOOD HAZARD DATA WITHIN THE JURISDICTIONAL AUTHORITY OF GRANVILLE COUNTY ADOPTED BY REFERENCE AND DECLARED A PART OF THE LDC. THE AMENDMENT ALSO STATES THAT SUBSEQUENT LETTER OF MAP REVISIONS (LOMRs) AND/OR PHYSICAL MAP REVISIONS (PMRs) SHALL BE ADOPTED WITHIN 3 MONTHS. THE AMENDMENTS ARE AT THE DIRECTION OF THE STATE OF NORTH CAROLINA SO THAT GRANVILLE COUNTY RESIDENTS MAY CONTINUE TO HAVE FLOOD INSURANCE. Will meet Thursday, October 11th at 7:00 at the Granville County Expo Center (4185 Highway 15 South, Oxford) instead of Thursday, September 13th. Will meet Thursday, September 20th at 4:30 p.m. at the Richard H. Thornton Library (210 Main Street, Oxford) instead of Thursday, September 13th. Will meet Friday, September 28th at 10 a.m. at J.F. Webb High School (3200 Webb School Road, Oxford) instead of Friday, September 14th. Will meet Tuesday, October 2nd at 7:00 at the Granville County Expo Center (4185 Highway 15 South, Oxford) instead of Tuesday, September 18th.